Free shipping. Buy direct from HP. See customer reviews and comparisons for the HP Pavilion 590-p0050. Upgrades and savings on select products. All your activities become easier and faster than before with the latest Hexa-Core Intel® Core™ i5 processor, Intel® Optane™ flash memory and advanced Intel® UHD integrated graphics. Watch videos, edit photos, and connect to family and friends with all the power you need to get things done. 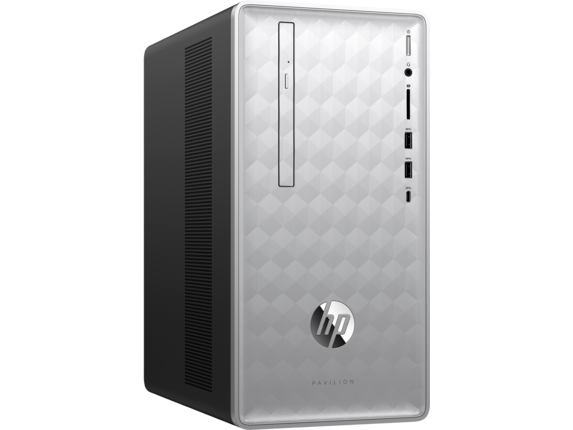 If you expect your desktop computers to be hulked out with desktop computer muscle, you won’t be disappointed by the HP Pavilion 590-p0050, one of our versatile HP Pavilion desktops. An 8th Generation Intel® Core™ i5 processor handles all the big computing. The processor has 6 cores and 6 threads, so it can perform 6 tasks simultaneously at an admirable speed of 3.30 GHz. Use that processing power for anything you want: PC games, software, office applications, you name it. You can do anything more efficiently with the i5 processor at the core. Intel Optane™ memory boosts your startup speed when you turn your computer on. On most computers, memory is used to keep track of all your tasks and activities in a single computer session. Once you power down your computer, the memory is deleted. What Intel Optane does differently is that it actually remembers some of your activity even after you’ve turned your computer off. It learns which applications you use the most and stores the startup instructions for those applications so that they’re easily retrievable. When you turn on your computer and your favorite applications, you won’t have to wait through long wakeup times. Intel Optane will boost your built-in memory. But if you want more, you can add up to 32GB memory. If you play graphics-intensive PC games, or if you use creative applications that draw heavily from your processors like video editing or illustrating software, then 32GB memory plus Intel Optane will give you all the processing memory that you need to run your games or your software at top speeds. The HP Pavilion desktop 590 p0050 is a versatile computer that’s perfect for the well-rounded PC user. 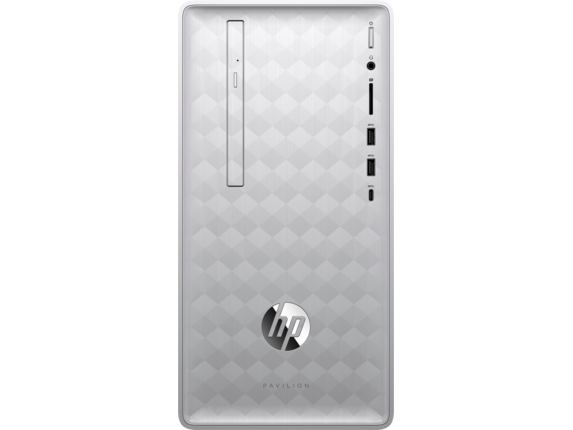 If you use your PC for a wide variety of activities, you’ll appreciate how this HP Pavilion model can tackle a multitude of different tasks. The processor comes with Intel UHD Graphics 630, which delivers a strong graphics performance. It’s integrated with the Intel Core i5 so that the communication between the two processors is faster. This is great for gaming. It means that you can turn on the high-quality graphics on your PC games without suffering from lag, and you’ll have a more responsive gaming experience. Bluetooth connectivity allows you to listen to music on external speakers. Or you can plug in headphones. Write DVDs. Run Windows 10 Home 64. And don’t be shy about file creation and storage. Whether you have hundreds of business files or dozens of large files for creative applications, the 1TB storage capacity can handle it all. Say hello to silver. 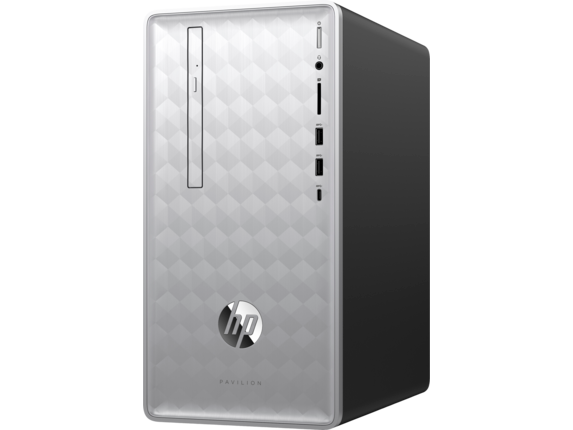 The HP Pavilion 590-p0050 desktop PC has a shiny, brushed-silver front that’ll look terrific on your desktop. With a stylish geometric pattern, it’ll look great in either a modern or retro home office environment. And the tower unit is designed to encourage good ventilation, so you won’t have you worry about overheating.